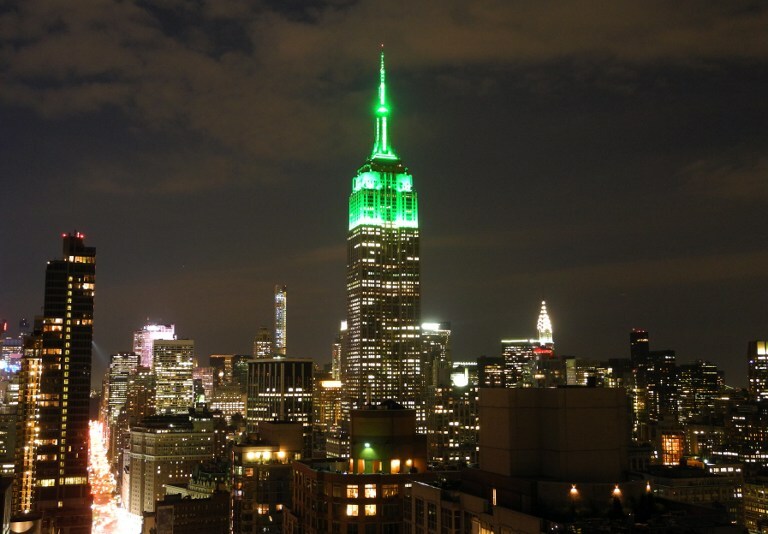 New York’s Empire State Building was lit in green late Friday to celebrate the Eid al-Fitr holiday that marks the end of Ramadan. The green light will shine until the famous skyscraper closes to the public at 2:00 am (0600 GMT), when the building traditionally turns out its lights. The skyscraper has carried out the tradition “for several years now — it is an annual lighting,” a building spokeswoman told AFP. The Empire State Building famously shines specific colors for a number of religious holidays — pastel shades for Easter, blue and white for Hanukkah, and red and green for Christmas. It also has marked a number of events — red, white and blue for the US women’s World Cup victory, rainbow colors for gay Pride Week, and blue, white and purple for World Oceans Day on June 8.